Posted on Tuesday, June 18th, 2013 at 10:01 pm. This week’s image was submitted by Community Member Christine Lucero Paul. Just one look at this cat and you can see the Power of the Kitty. As you all know this month we have been celebrating Adopt a Cat Month to help spread the word about the benefits of adopting a cat into your family. Cats can be the perfect companion for a everyone from a busy college student to someone who spends long hours at their job, to a young family, or a retired couple. Cats each have their own unique personality and come in all shapes, colors, and fur lengths. They like to climb, jump, run, and hide. They also like to occasionally cuddle, share a part of your bed, jump on the counter to eat your dinner, and have a mind of their own. Cats are a fun companion and there are so many cats and kittens waiting for you at your local shelter. 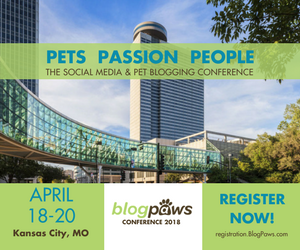 To join us for Wordless Wednesday you can add the BlogPaws Blog Hop button to your post and/or to your blog sidebar, either by cutting and pasting the image or using the HTML code below. Online Community! It’s fast and it’s free and there are a number of great benefits to becoming a community member. Thanks for hosting this fun Wordless Wednesday Blog Hop! Oh what a beautiful kitty…you can see his soul.